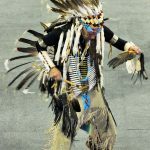 The steady, strong sound of rhythmic drumbeats rumbled through Hec Ed Pavilion as dancers, big and small, honored their unique tribal cultures during the 47th annual Spring Powwow held at the University of Washington. 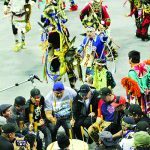 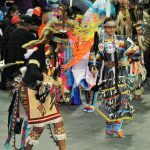 Hosted by the student-led organization, First Nations, the two-day powwow brought out an estimated eight to ten-thousand people over the weekend of April 7th. 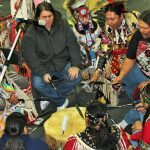 Blackstone Singers from Cree Territory was the host drum. 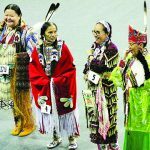 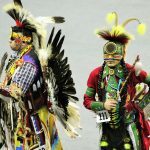 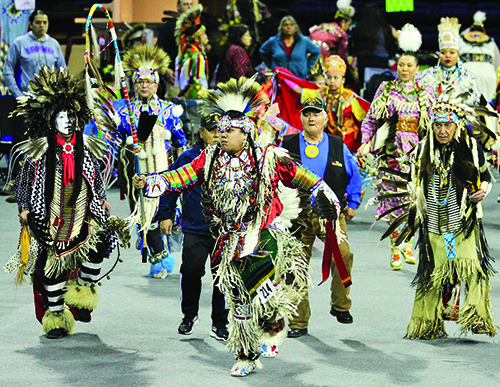 Their powerful voices echoed through the arena, while dancers from all over Indian Country showcased their unique style of dance and corresponding regalia. 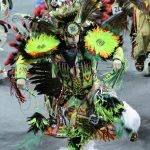 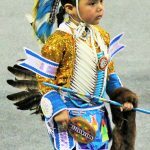 During Grand Entry, the main stage was awash with color and movement, sparkling gold and polished silver, the earth tones of leather and feathers, and all manner of fluorescent fabrics. 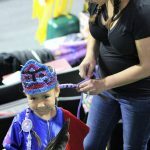 In the concession area outside the arena, aromas of fry bread and smoked salmon filled the air as vendors set up table after table of unique, hand-made goods. 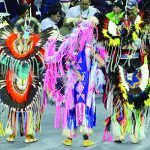 The Spring Powwow is a competitive powwow, meaning it includes dance contests according to age (junior, teen, adult, 50 and up) and style. 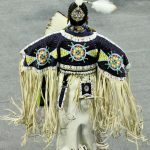 The dancers specialized in a variety of styles: grass, cloth, jingle, fancy, and chicken. 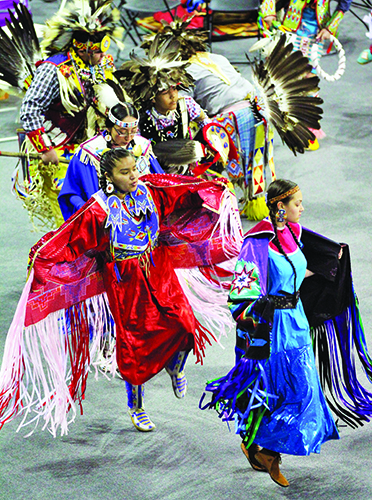 Monetary prizes are awarded to dancers in each category who score highest with the judges. 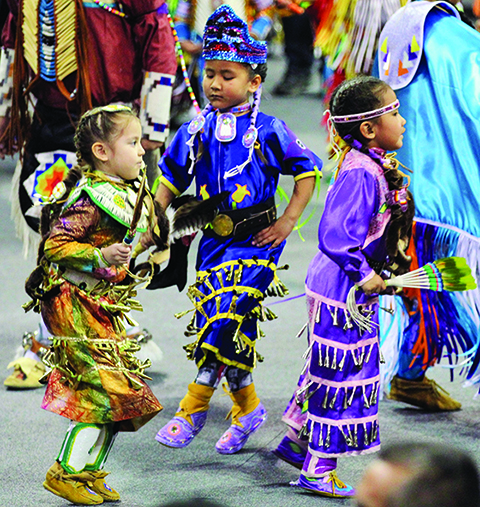 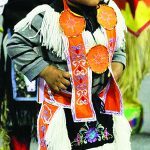 As the weekend continued, each dance category got its turn: the energetic fancy dancers, the bobbing movements of the women’s buckskin dance, and the strutting chicken dance. 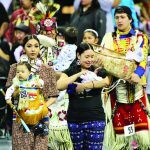 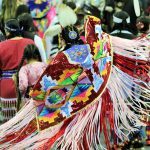 Representing hundreds of tribes, University of Washington’s annual powwow is one of the biggest powwow in the Pacific Northwest. 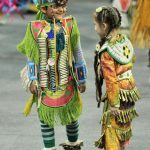 Free to the public, it continues to provide a perfect opportunity for families and individuals from all walks of life to celebrate a culture that continues to thrive in tradition.